Broken garage door torsion spring in Dallas? Call us to replace it today. When it comes to springs & repairs, we are the team to trust for prompt service. Our spring service cost is affordable. All technicians are insured and well-trained. No matter which torsion spring you own, we can handle its problems. Regardless of the nature of the problem, our spring experts come quickly to sort it out. Springs are important elements of your door. We won’t let you wait. 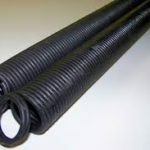 We provide torsion spring repair and replacement in Dallas, Texas, in a timely manner. Always count on our team for your garage door torsion spring replacement needs. Whether the spring is broken or not, our technicians can replace it. We can replace galvanized and oil tempered torsion springs irrespective of their brand. Our expert will carry the new spring and handle the request to your satisfaction. Rest assured that we take any precaution needed and are equipped properly for torsion spring replacement. The existing spring is removed with care and the new one is installed with attention. Our tech adds as tension as required for the door to be balanced and lifted right. We are also available for any spring repair. You can call us to fix extension springs too. In order to keep springs functional and noiseless for as long as they are made to last, call us to maintain them. Our repair services might range from torsion spring adjustment to lubrication. No matter what your spring needs are, remember that Garage Door Repair Dallas TX provides same day service. Our techs can handle any problem with springs & cables, add or release tension, check the balance of the door, and replace springs urgently. We offer spring repair at very competitive prices and our techs are geared up to do the job safely and correctly. Dealing with problems no w? Want an expert technician for Dallas garage door torsion spring repair? Get in contact with our company right away.